D-Chowk is situated in the Red Zone area of Islamabad. The famous Chowk is always crowded by activists, people against the government or opposition parties. D-Chowk has been witness to so many protests and sit-ins held from 1980 to the present day. The first major demonstration at D-Chowk was held on July 4 and 5, 1980 by a religious community against the enforcement of the Zakat and Ushr Ordinance by former President Zia-ul-Haq. The protesters, let by Mufti Jafar Hussain, occupied the secretariat building after which the government gave in to their demands and declared them exempt from paying Zakat to the state. On 17 August 1989, during the first term of Benazir Bhutto as Prime Minister, opposition parties moved toward the Red Zone, led by Nawaz Sharif, on the first anniversary of Zia-ul-Haq’s death. First the government sealed the capital, but later, Interior Minister Aitzaz Ahsan prevailed the mourners and facilitated them so they dispersed. On 16 November 1992 the opposition started a march toward D-Chowk against the rigging of the government in the 1990 general elections. The very next year, on 16 July 1993, the opposition moved toward the Secretariat, led by then opposition leader Benazir Bhutto, General Waheed Kakar demanding the resignation of the former Prime Minister, forcing President Ishaq Khan and Prime Minister Nawaz Sharif to resign. On March 2007 a lawyers movement started against former military ruler Pervez Musharraf to sack Chief Justice Iftikhar Chaudhry. After this demonstration by lawyers, who were backed by Nawaz Sharif, Musharraf imposed a state of emergency in November 2007 and sent the top judge packing for a second time. From October 2013 to March 2014, 30 activists reached parliament form Baluchistan after walking 2000 km. Following their loved ones allegedly being picked up by the security agencies, they were unable to face the government’s pressure and left. 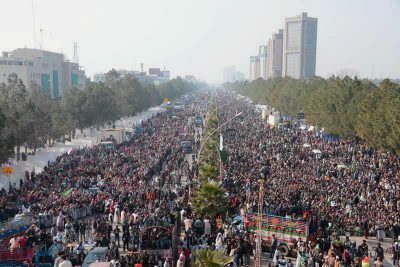 On 14 August 2017 one of the biggest marches started from Lahore and moved toward parliament, led by the PTI and PAT leaders Imran Khan and Tahir-ul-Qadri against the rigging of Nawaz Sharif’s government in the 2013 elections. This sit-in consisted of 126 days from 14 August 2014 to 16 December 2014. That sit-in ended after successful negotiations between the government of the day and the protesters. On 27 March 2016, according to government officials, between 2000 and 4000 people started to move toward the Red Zone area of Pakistan and attempted to occupy the Parliament building, police, rangers and the Army being deployed to stop them. Afterwards the government and protesters agreed to resolve the matter through dialogue, at which time they dispersed. 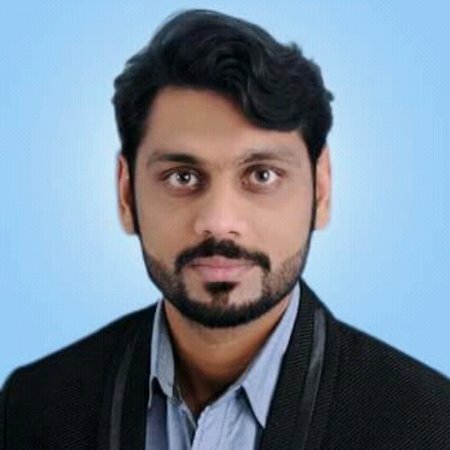 Waqar Haider is a Journalist and Assignment Editor at the Islamabad Bureau of Channel 24 News.